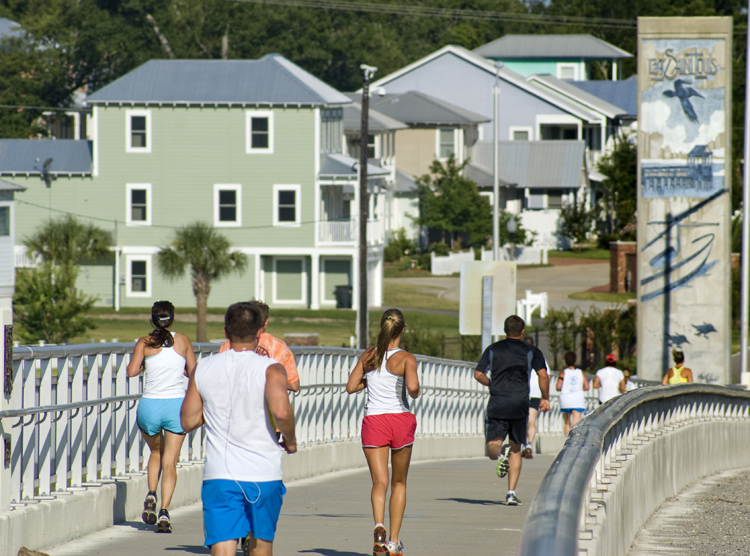 The 6th Annual Bay St. Louis Half Marathon & 10K (formally Bring it to the Bay), will be held on Saturday, MARCH 30, 2019 at 7:00 AM beginning near the intersection of Main Street and Beach Blvd. in front of Dan B Murphy's Restaurant. 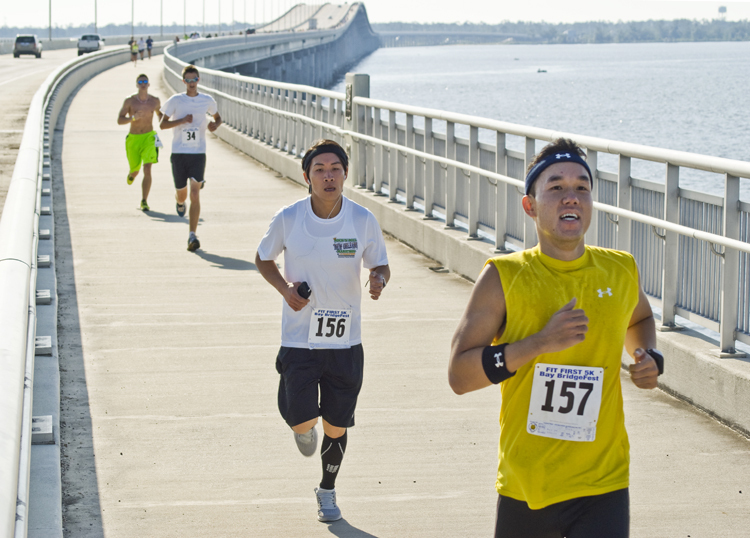 This race is walker-friendly with a 4-hour timing limit and the opportunity for all participants to finish. 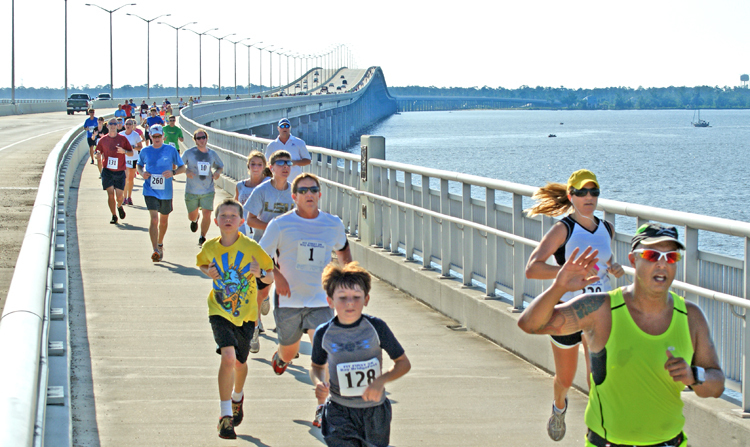 This event continues to be one of South Mississippi's largest endurance races. This signature annual event goes along the beautiful coasts of Pass Christian, Bay St. Louis and Waveland and encourages everyone to come out and take part in what is sure to be a great time for a wonderful cause supporting local law enforcement. 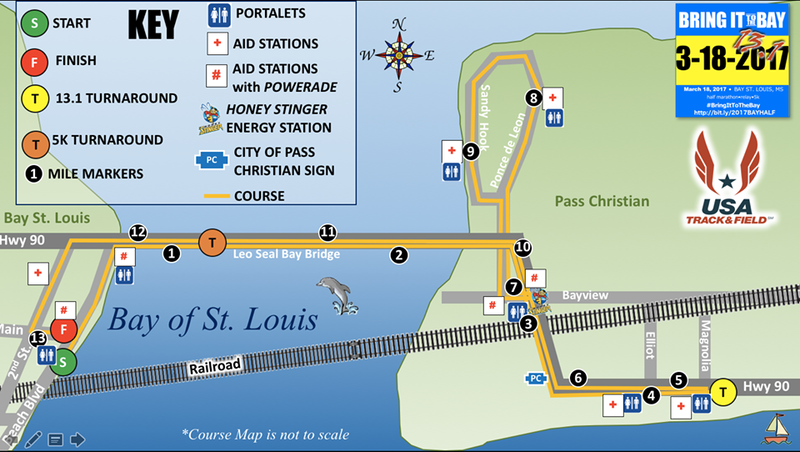 The course has a gorgeous route starting in Old Town Bay St. Louis Bridge, continuing along historic Beach Boulevard, crossing the Bay Bridge into the scenic Pass Christian waterfront, and finishing in downtown Bay St. Louis with a fun-filled after party. 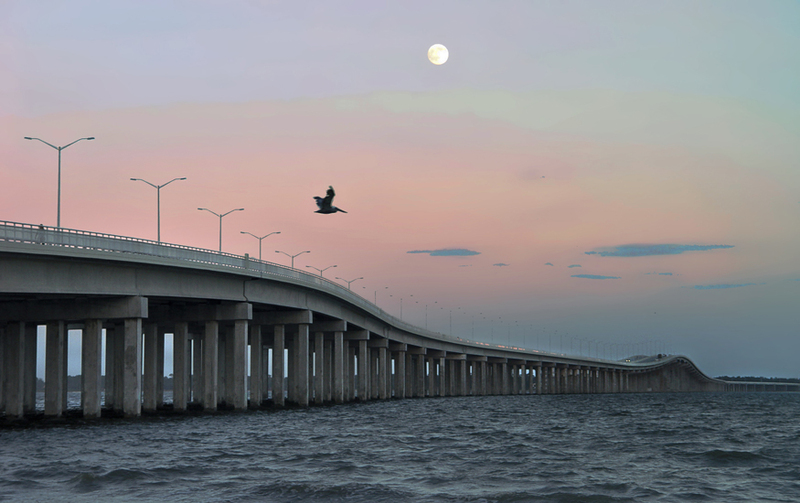 The breathtaking view of the Gulf of Mexico with the pleasant breeze makes this race one to remember. 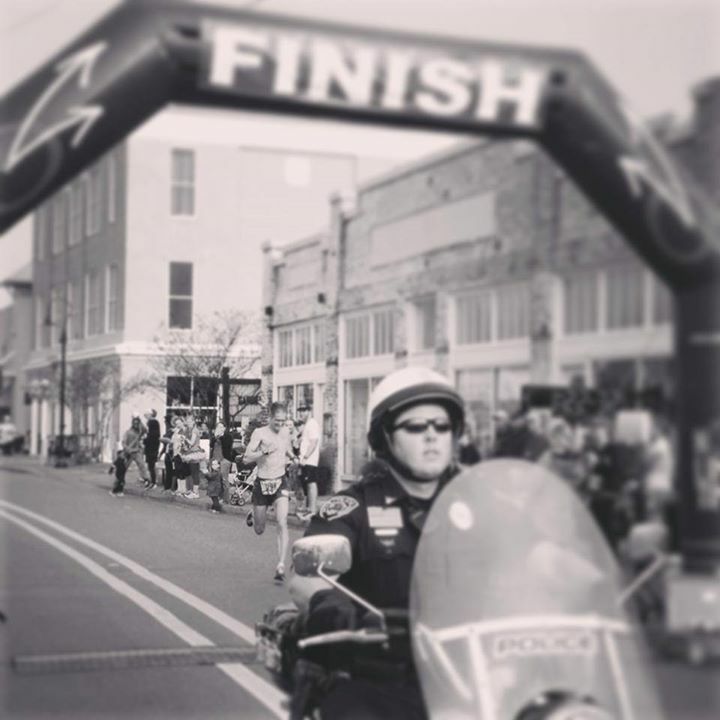 This race is a fundraiser for local law enforcement agencies and the Hancock County Friends of the Animal Shelter. 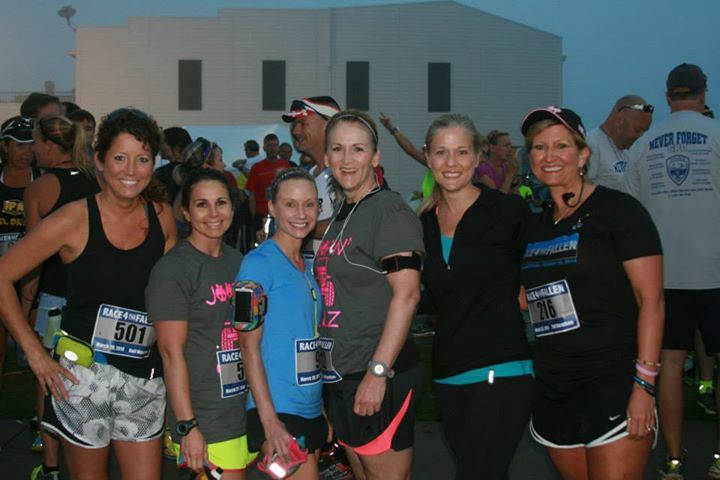 REGISTRATION IS AVAILABLE AT PACKET PICK-UP ON FRIDAY, MARCH 29 from 11AM - 7PM AND ON RACE DAY MORNING. 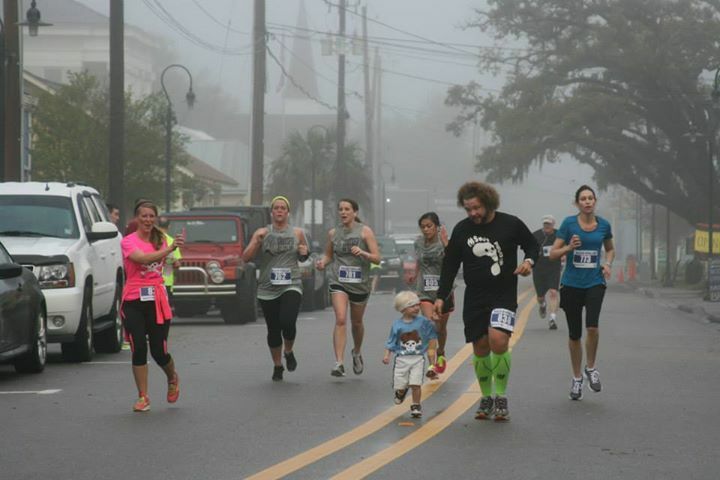 We WILL have Race Day Registration for all categories but we cannot guarantee shirts and medals.